In our today's edition of Callexa Feedback Integration series we want to introduce the service LiveAgent closer. LiveAgent is an all-in-one help desk software. It features live chat for websites and 173 help desk features (email ticketing, call center, Facebook and Twitter support, Feedback buttons, Analytics, Tags, Knowledge base...) in one application. Support your customers on the go with our native mobile apps. Check and answer pending tickets and chats on your favorite mobile device. Strengthen relationships with your customers. Be number one in customer service and let them spread the good word and experience about you. View and answer every Ticket from LiveAgent’s universal inbox. It’s like a smarter version of your email inbox. Emails, chats, calls, Facebook & Twitter tickets, forum posts, suggestions... It's all there, accessible and manageable from one place. Easily manage ticket responsibilities. Change the ownership of a ticket to a different department or even an individual agent. You always know, who is responsible for solving each ticket. Never hear "I didn't know it was my responsibility" again. See who you're communicating with. Add fields for each contact to store custom data. Add notes, see their previous tickets, integrate plugins. With LiveAgent Helpdesk Software you will always be prepared. Get to know your customers better and increase the quality of your Helpdesk. Audit log is a chronological set of records that provides documentary evidence of activities that have been undertaken by support agents. With Zapier, the integration of Callexa Feedback Customer Satisfaction Analysis into LiveAgent can be done easily. The analysis could for example be initiated once aticket request was solved successfully. The data is transfered to the respective campaign in Callexa Feedback and the client receives the survey according to the campaign settings. With the integration via Zapier it's possible to transfer all your LiveAgent subscribers to Callexa Feedback and survey them automatically. Following the successful survey, customer satisfaction is determined and evaluated with the help of NPS. After the customer has given his feedback you can publish it quickly and easily on your website to convince new customers of your service. You can find the Callexa Feedback NPS App for Zapier / LiveAgent here. In our today's edition of Callexa Feedback Integration series we want to introduce the service Olark closer. Olark is the most beautiful and effective way to talk to your customers for sales and support. And Olark makes it super easy for you! You can solve customers' problems before they have a chance to click away. Give them the answers they need immediately and gain powerful insights about what they want for relationships that last. Olark has powerful features to give you access to visitors and their behaviors. Make your business (and your site) look good and keep customers coming back. Find out who your visitors are and where they're looking. Chat in minutes.Copy. Paste. Chat. It's quick & easy to install and customize Olark. Then, chat with customers immediately in your browser. Brand Olark your way with flexible customization. Find out if you're making customers happier. With Zapier, the integration of Callexa Feedback Customer Satisfaction Analysis into Olark can be done easily. The analysis could for example be initiated once Customer Support has closed the chat request successfully. The data is transfered to the respective campaign in Callexa Feedback and the client receives the survey according to the campaign settings. With the integration via Zapier it's possible to transfer all your Olark subscribers to Callexa Feedback and survey them automatically. Following the successful survey, customer satisfaction is determined and evaluated with the help of NPS. After the customer has given his feedback you can publish it quickly and easily on your website to convince new customers of your service. You are not using Olark yet? Then click on this link to get a special 2 operators account for 4 months free of charge. You can find the Callexa Feedback NPS App for Zapier / Olark here. HARVEST makes time tracking easy. Your team will get up to speed fast and can track their time however they want—on their laptop, iPhone, Android, or even on the Apple Watch. Simple and quick time entry means there’s no excuse not to track, and you’ll have the data you need to bill accurately and budget wisely. HARVEST’s built-in reporting analyzes your data so you don’t have to. Set hourly and fee-based budgets to track your project’s progress. 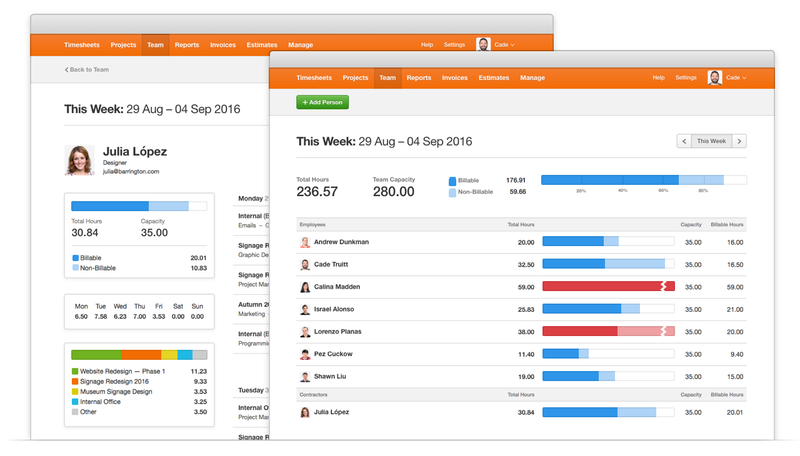 Run reports on billable and nonbillable time for specific staff, tasks, clients, and projects. You’ll have a deep understanding of your current work, and historical records to help make your next project even better. Log expenses on the go. Use Harvest’s mobile apps to snap a pic of your receipts and never lose them again. Expenses can be billable or nonbillable, and automatically pulled into invoices. Pull your tracked time into a customized invoice and save hours of manual entry. Harvest offers flexible billing rates, automated payment reminders, and online payment to help you get paid fast. View and approve your teams time and expenses. Someone forget to track? Send automated reminders to people who might have let timesheets slip their mind. With Zapier, the integration of Callexa Feedback Customer Satisfaction Analysis into HARVEST can be done easily. The analysis could for example be initiated once an invoice is issued with HARVEST or after a HARVEST Project was finalized. The data is transfered to the respective campaign in Callexa Feedback and the client receives the survey according to the campaign settings. With the integration via Zapier it's possible to transfer all your HARVEST subscribers to Callexa Feedback and survey them automatically. Following the successful survey, customer satisfaction is determined and evaluated with the help of NPS. After the customer has given his feedback you can publish it quickly and easily on your website to convince new customers of your service. You can find the Callexa Feedback NPS App for Zapier / HARVEST here. Please note: Closing we are happy to provide you with a coupon code for your convenience. When you upgrade from a trial account to a paid account, you can use the code ONDEMAND to get 50 percent off the first month. In today's article, we would like to introduce our software integration partner Zendesk. This Help Desk Software enables customer support agents to receive, process, and respond to service requests. A great help desk is at the heart of great customer support. Zendesk’s help desk software helps streamline customer support with time-saving tools like triggers and automations. And it’s intuitive, built with the experience of customer service and support desk agents in mind. Whatever you call it—help desk, service desk, or support desk software—it’s a means to an end. Because great customer support is not just about the tools you use. it’s about the relationships you have with your customers. And that’s what Zendesk is for—improving the relationships between businesses and their customers. Dynamic request forms give agents extra context, so they’re prepared to offer personalized customer support before the conversation even begins. With built-in internal SLAs, agents can set their own SLAs for specific tickets and measure to the minute to keep an eye on status. Our native mobile apps enable agents to respond to customer requests—even when they’re away from their desks. - Make sure flag is set to authorize the connection. - Define the earliest and latest time ( in days ) a survey should take place after a ticket request has been solved. - Enable automation if desired and save the settings. - After this, you wil be forwarded to Zendesk and it will be necessary to confirm the integration by loggin in to your account.